I’m sure by now, you must have located the closest accredited tstv sassy decoder seller to your location, picked up your Sassy decoder and waiting to test run it. Please we need feedback if you’ve succeeded in picking up your decoder. For those who are still asking where they can get the decoder in their state of residence, please visit this link https://www.tstvafrica.com/wheretobuy.php scroll down to your state and you’ll see the name, address and phone number of the accredited resellers closest to you. The decoder is available in every state and I think you should pick one for yourself. What about the data subscription? Like I said in the previous post that the data subscription will only be available on the second decoder which will soon be on sale. Will Dexterity Decoder Be Available? dexterity decoder – This has been one of the disturbing question everyone is asking and wondering if TSTV is ever going to release the main decoder that comes with more than 200+ channels with free 20GB of data… Yes, the Dexterity decoder will be available next month. Will I be Able to Swap the Sassy Decoder for Dexterity Decoder? Once the second decoder is out, you’ll be able to swap the sassy for the Dexterity with just N2500 and you’ll enjoy the full package. By the way, there is a lot this sassy decoder has to offer you such like the PVR function – and free to air tstv channels might be scrambled since every one is aggressively picking up their own decoder. Please, kindly let us know if you’ve picked up your TSTV Sassy Decoder + the dish, and are you willing to swap it for the main Dexterity decoder when its available? Tstv all the way. Good one. I located one of their shops since that initial announcement. As for now I will patiently wait for the dexterity decoder. I really think most people are really not going for dis decoder,dre main selling point was when they promised us a decoder that will come with 20gb…for me dis sazzy decoder won’t do any good…. 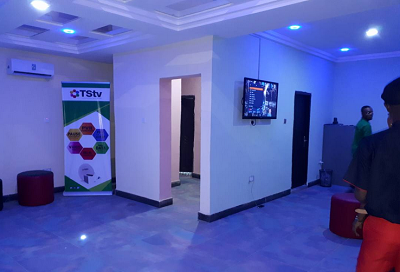 Why would one pay for tstv services? Is it because of live football matches? Well, most people already have decoders like metro digital and ctl which are also offering those services. I have gotten mine. But the dish is not ready so am still going back to pick the dish. One thing I like about the decoder is the USB port. U can record or watch movie with ur flash drive, what I always wanted . I don’t think if there’s DSTV decoder that have this. Where did u buy your’s R& B? One thing is releasing the decoders, another thing is improvements on signal quality. Road 4 block 178 Ikota Shopping Complex, VGC lagos @Akintola.